Autodesk has officially announced their new logo. It’s not the first time they have done this and it will not be the last. I like it. I don’t feel the need to go on about it but I felt it was definitely worth mentioning. Chris Bradshaw, Senior Vice President and Chief Marketing Officer, Autodesk, discusses the new logo in a blog post titled “Not Your Father’s Autodesk”. Google Chromebook Pixel – Mobile CAD Workstation or Overpriced Web Browser? Google just announced their newest piece of hardware, the Google Chromebook Pixel. It’s a Chromebook so it runs on Google Chrome. Want to know what that’s like? Run the Google Chrome browser and nothing else. That’s an over simplification but you can get a good idea of what it is like. 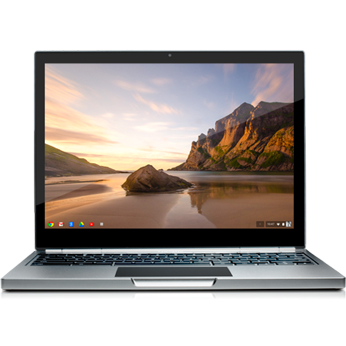 Google has been trying to sell Chromebooks for a while now and I have always been interested in them. None of them have been powerful enough for my liking but they have been set at a good price. Now that the Pixel is out and available for purchase and that Autodesk is making a major push for in the browser cloud based CAD software, could the Google Pixel be a viable candidate for a mobile CAD station? I can’t honestly say yes or no until I get one (Google can you send me one to test please?) and try it out but my gut feeling is that it could be useful in certain situations. Yes there actually is a Kickstarter looking to build an actual Death Star! I love the internet. I love free will. Kickstarter is a great use of both. I also love Star Wars. 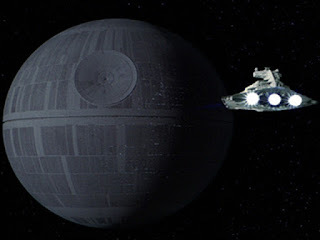 I have no idea how many times I have imagined myself running through the Death Star, swinging on cables, dodging laser blasts from Stormtroopers (not that you really have to dodge them, they can’t hit the backside of a bantha unless they are off screen while shooting) and escaping from the clutches of the evil Empire! If this Kickstarter project gets funded then I may get my chance to do this in real life! Autodesk released the latest version of AutoCAD WS (mobile version 1.6.1) for the web based version as well as the iOS and Android versions. All versions are up to date and match each other. These latest versions support AutoCAD Utility Design drawings. According to the Google Play Store and Apple App Store, various bug fixes are also addresses. See the AutoCAD WS blog post here about this update.